Whenever you get the chance to use fresh grated cheese, you should do it because the taste difference between pre-grated cheese in the bag and fresh grated cheese from the block is worlds apart. Cheese graters come in all shapes and styles and they are easy to use and store too. Cheese graters are not just for grating cheese, they have many other grating uses that they can be used for in the kitchen. How about using your cheese grater to grate chocolate to go over a special dessert? Or add some grated onion to ground beef to make homemade onion burgers. Do you love carrot salad? These graters will give you excellent shredded carrots ready for making the perfect carrot and raisin salad. 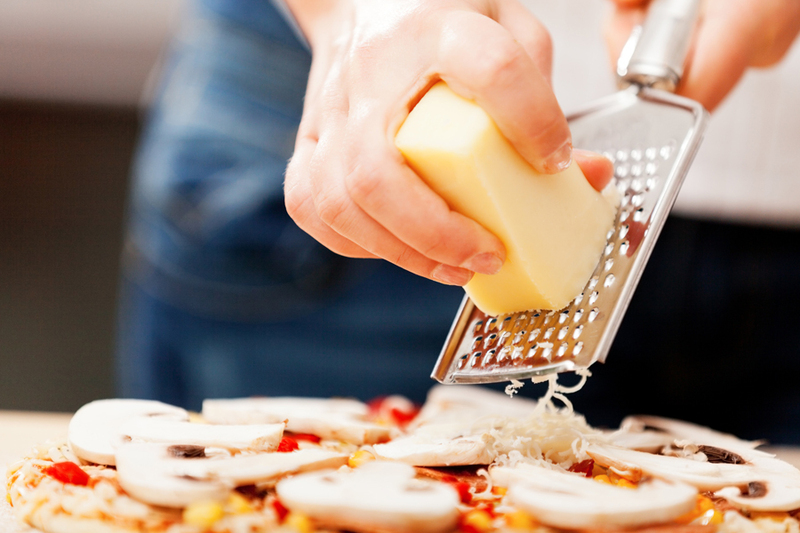 There are a lot of things that you can do with grated food and your cheese grater is the perfect kitchen tool for the job. There are a few tricks of the trade to know that will make using this versatile and useful kitchen tool much easier to use. When you know you’ll be grating cheese for a dish, freeze the cheese about 30 minutes before you grate it. This makes it super easy to do and you won’t have those clumps of cheese that can crumble off. This is a great tip for softer cheeses like mozzarella and fontina and will make grating them an absolute breeze. Want an easy cleaning tip? When cheese has blocked the cutting holes, run a cut lemon over the blades to free up the cheese easily for cleaning. This Ikea Stralande Rotary Cheese Graters may look a lot like the graters used in fine restaurants and that’s because it is very similar. You can choose to grate your cheeses finely or coarsely depending on your needs and it works great on all types of cheeses. When grating soft cheeses, stick the cheese in the freezer for about 30 minutes before grating and you’ll have excellent results with no cheese sticking and gumming up the cutters. With stainless steel blades and an ABS plastic body, this shredder works equally well for both left and right handed people. The insert comes out easily making cleaning a breeze. Kids love this style of grater because it’s fun for them to turn the handle. 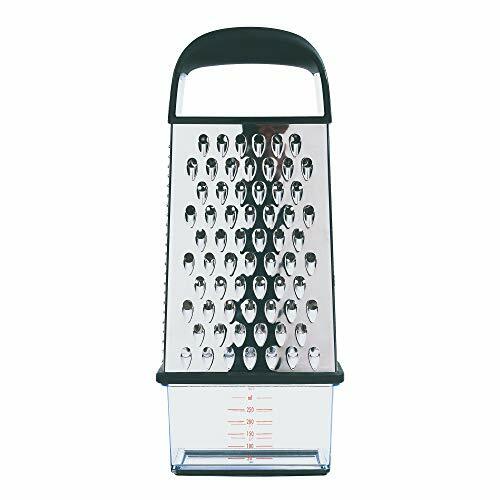 A great all around grater, this OXO Box grater has coarse, fine and extra fine surfaces to choose from as well as a slicing side for large strips of cheese or vegetables. The box part of the cheese grater is made of stainless steel construction with an attachable plastic box that can be used for storage later. The non-slip handle makes it safe and easy to hold onto while using. In addition to cheeses, you can grate or slice vegetables, chocolate and other foods. The non slip bottom ring on the container and the grater itself prevents slips while you are working. The whole unit is dishwasher safe. When you want evenly sized cheese shreds, you won’t have to look any further than the Microplane 40020 Classic Grater. It’s no wonder it is the #1 best seller for cheese graters! The simple design looks almost more like it should belong in the garage rather than the kitchen but you will not find a better and easier grater. The cutters are made from stainless steel and are razor sharp, so be sure to keep those knuckles out of the way. A large handle gives you good leverage and a firm grip while using it for added safety. 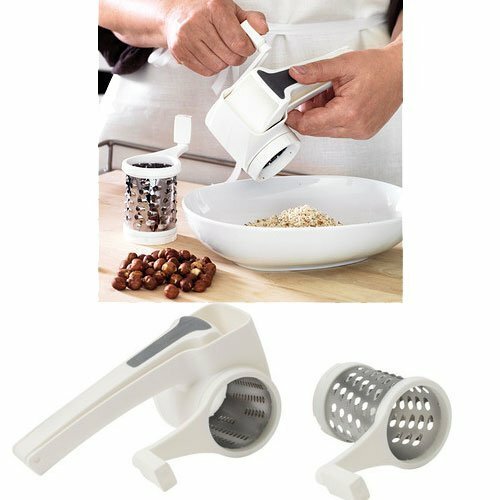 You can easily shred carrots, cheeses, onions, chocolate and more with this terrific grater.